This is a list of viceroys (or lieutenants) of the Kingdom of Aragon. 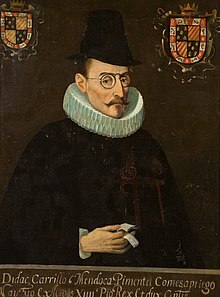 Bernardino Fernández de Velasco, 6th Duke of Frias, Grandee of Spain, (c. 1610 – 1652), was a Spanish nobleman and diplomat. Hernando de Aragón y de Gurrea (25 July 1498 - 29 January 1575), Archbishop of Zaragoza and Lieutenant General of Aragon, was an Aragonese humanist and historian.